Despite a slow start, the offbeat romantic Hindi drama October has completed its opening weekend on a decent note. Due to critical acclaim and the support of multiplex audiences, Shoojit Sircar’s directorial took a healthy jump over the weekend and lifted itself over a reputed score-level. 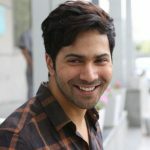 Starring Varun Dhawan in lead role, October is the first-ever collaboration of him with director Shoojit. The actor has performed his character brilliantly and is being appreciated by everyone. Opposite to him, the movie has debutante Banita Sandhu, who has also left a good impact. Being a non-masala flick, Rising Sun Films’ presentation opened on a slow note in morning. Due to the positive reactions from most viewers, it witnessed some growth in footfalls post noon shows in multiplexes and did the business opening business of 5.04 crores, which is lowest for Varun Dhawan so far. On the next day i.e. Saturday, due to a favorable word of mouth, October took an excellent jump and registered the business of 7.47 crores. Then on Sunday by remaining steady, it minted the amount of 7.74 crores and raised the business of 20.25 crores at the domestic box office from 1683 screens. Now it has stepped-in on weekdays and as usual, recorded an abrupt drop in footfalls due to normal working days. On Monday, October faced a drop of approx. 46.4% than Friday and raked the business of 2.70 crores. With this, its 4 days total domestic collection has become 22.95 crores.